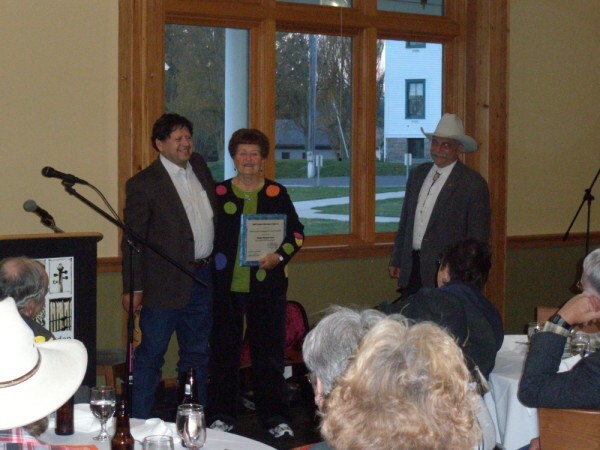 Back Country Horsemen of America honors special projects or programs in a program we call the Double Diamond Award. The Double Diamond Award was established in 2003 by the National Board of Directors and honors special projects and programs that best exemplify collaborative spirit, community awareness and devotion to the mission and purpose of BCHA. Any state, chapter/unit or affiliate may submit an application. This year five entries were submitted for the Double Diamond Award. Two from Idaho: 1) project to digitize the educational manual and post it to the state website and 2) recognition of John Burns of Idaho for his many years of outstanding service and training for the BCHA Idaho and the Forest Service and the BLM. Missouri’s entry was for two master LNT trainers. Montana’s Charley Russell Chapter submitted an entry for work done this past year on the Montana Hoover Creek Project. The chapter worked in conjunction with Forest Service employees. The fifth and winning entry from BCHA Central Arizona was submitted for work done this past year on the Wupatki Project. This involved bringing over 80 people together to help replace old fencing in a remote corner of the Wupatki National Monument, which is located north of Flagstaff, Arizona The BCHA Central AZ chapter provided horses and mules to pack in the fencing materials. The Central AZ chapter worked with National Park Service employees, US Forest Service employees, and young volunteers from American Conservation Experience, Northern AZ University, and the Student Wildlife Society. Together they moved 12,000 pounds of wire, fence posts, concrete, and water over extremely rough terrain. Because this project involved community, youth and educational programs, it was chosen as the winner. Congratulations to BCHA Central Arizona!